In honor of the upcoming Thor movie starring the hunky Chris Hemsworth (for which I am salivating in a fashion most unbecoming), I am ecstatic to share these amazing images of the gods of Asgard by Charles Vess with you, dear reader! These beauties come to us from the back pages of Marvel Fanfare #20 from the ancient year of 1985! Above, we view the greatness that is Heimdall, guardian of the Rainbow Bridge Bifrost. 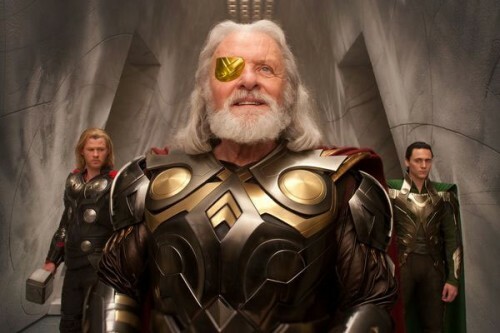 Heimdall is played by Idris Elba in the movie, a casting move that caused a tiny l’il tempest in a teapot. Check out the rest of Vess’ amazing artwork after the jump. Loki schemes into his giant brazier as he holds a tiny dragon aloft. Hmm, large scrying pool, tiny reptile. Loki has always had a challenging time when it comes to scale. His extensive plans and hidden hurts are a tad disproportionate to their ultimate expression. Small amount of heroism, large amount of ire and envy. 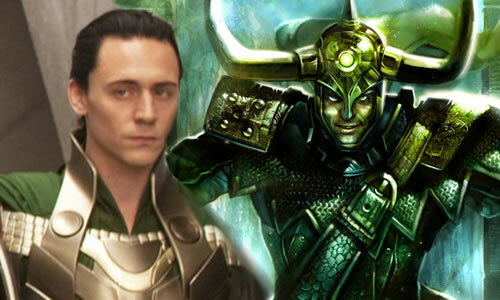 Loki is portrayed by Tom Hiddleston in the movie, who created a special fighting style to combat Hemsworth’s brute force. Odin broods with one of his faithful ravens. Anthony Hopkins is playing the overbearing patriarch in the film and I think he’ll do well in the role. Thor brings the lightning in this beautiful splash page of mountainous majesty! Having Thor be in such a small portion of the art creates distance from the viewer, reducing us to worshipers of the elevated god of thunder! Charles Vess is an amazing artist whose work one would do well to explore! His Green Man Press site has a tiny bit of information and images, and if you haven’t read Stardust (written by Neil Gaiman), I suggest you do so. Thanks for checking out this blast from the past! I saw the film yesterday and Heimdall is a great character in it. He has a terrific rich deep voice and just brilliant. And yes, Chris looks incredible! Wow, Chris! That is awesome! Thanks so much for commenting! I am so looking forward to this movie!